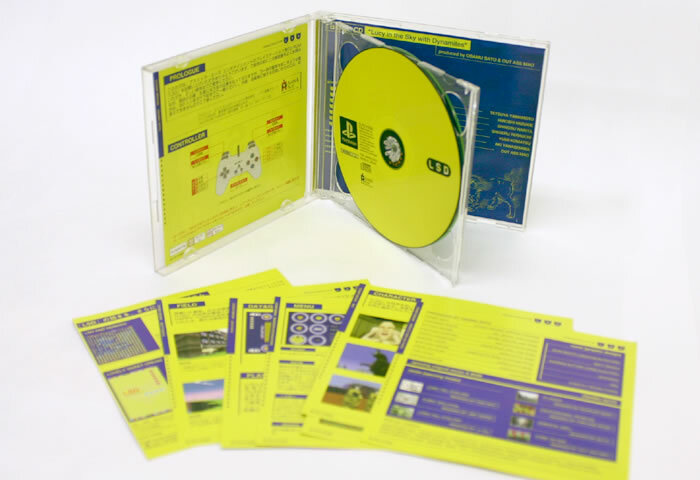 So what is happening in this sweet colorful game by Osamu Sato San made in the year 1998? 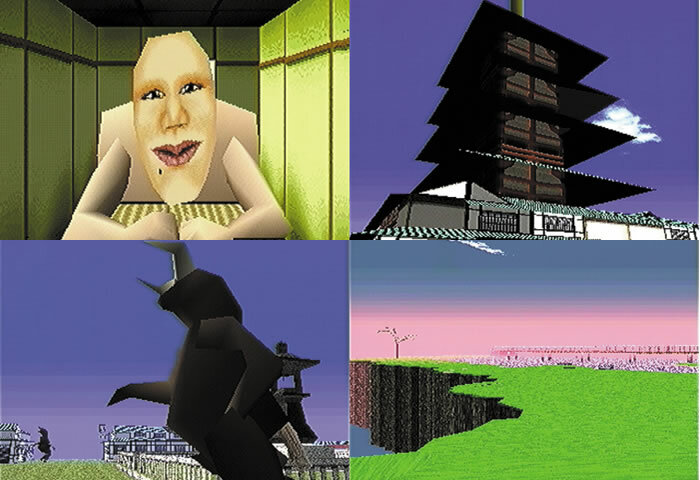 You walk through a japanese house in ego perspective and don't have the slightest sign of a clue of what to do! You look around and after some time you will find a bed. So the monitor flashes for a second and then everything is strange, different and you are in a peculiar world, called dream within the game, and you can walk around in the far away place. 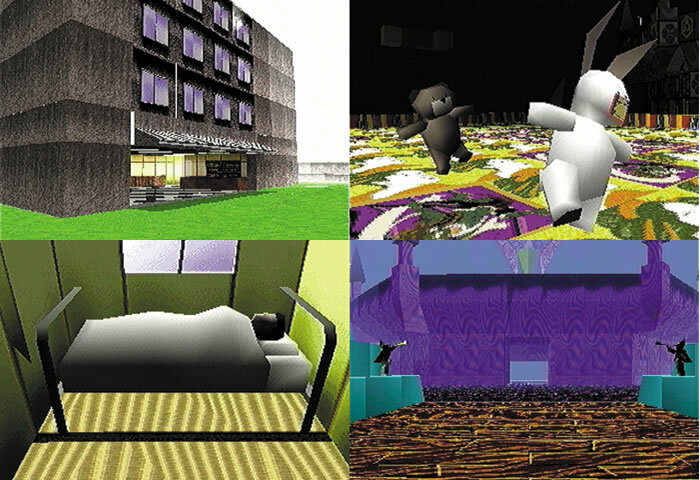 There are a lot of different dreams in LSD Dream Emulator and these dreamworlds get more and more bizarr and wierd. But as soon as you walk into a wall you get catapulted into another dream, another fantastic fantasy world. 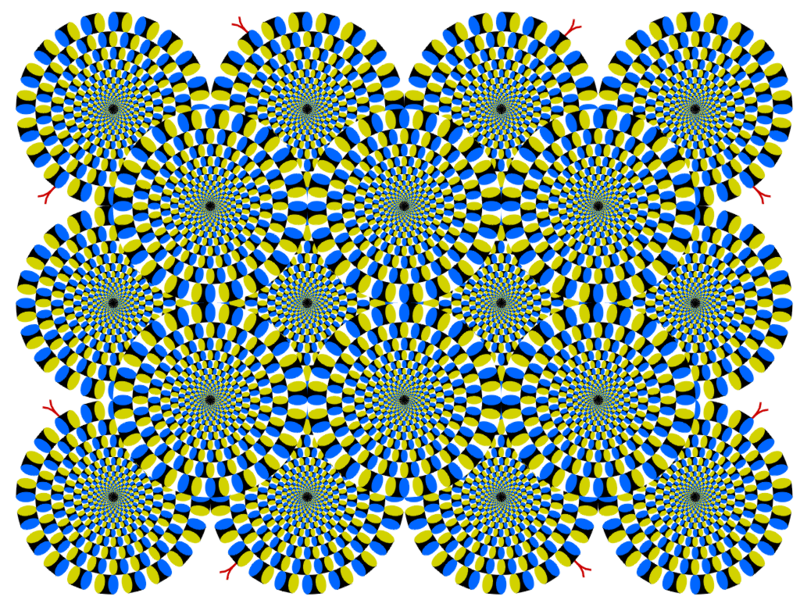 The house also changes over time, so rub your eyes and continue looking. When shortly pressing you can run, with you look up, with you look down. 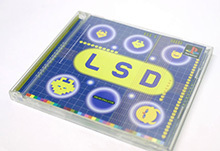 There is nothing more happening, so LSD is not quite a game but rather a trip toy for psychedelic nerds or just the bizarr brainchild of some twisted brains of a crazy japanese developer team. Well, both of them sound great! One of the developers wrote a dream diary for ten years and this is what this software is based on. If this is true this man must have had some very cubic dreams. 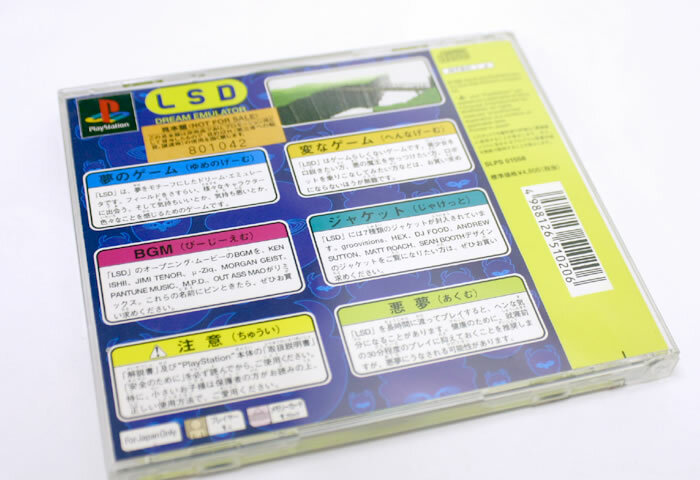 So, LSD is no game but interesting for everyone interested in this kind of stuff... but it would take too long to describe all of these colorful dreamworlds, so you better watch it on youtube or even better you try to get hands on a copy of this game somewhere. Otherwise, just have a look at my collection of other psychic and spaced out stuff or some more LSD(PSX) stuff under here. Above here you find my own screenshots I took on my journeys through the mystical and confusing surreal realm of the game called LSD. This widened my horizon and was amusing and interesting. But I still have no clue if there is any gameplay mechanic to this game or if it is just a colorful colorcandyland that you should go visit on a trip on psychedelic substances. The soundtrack is quite cool, from psychedelic monomonotonous to groovy and sometimes breakbeats on the PSX, great! 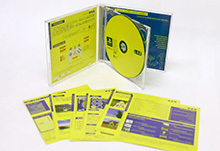 And here are some more pictures from the website of the publisher. A very interesting page. Especially the area are well decribed. Some outtakes and unused version by the coverdesigner. Nice Page about the game, but not in english. O.S.D. looks like the totally spacedout developer.